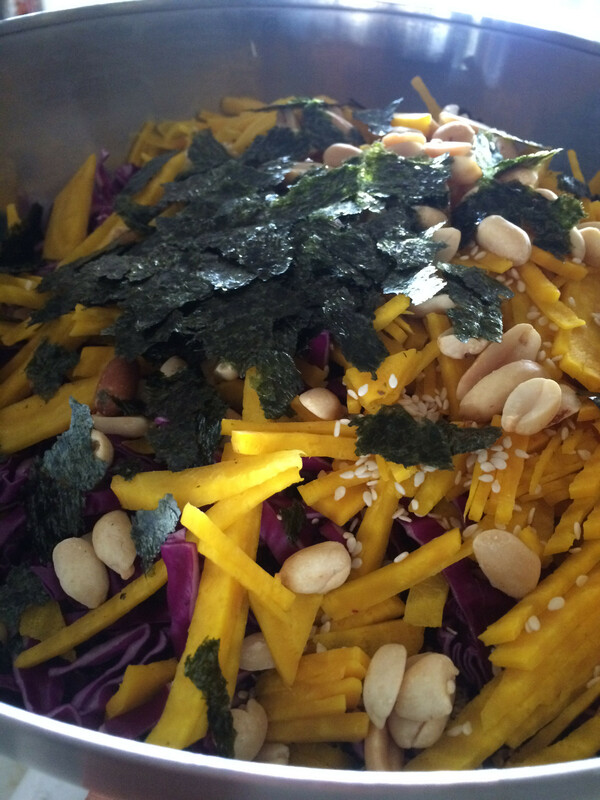 This is my bastardized version of Mission Chinese Food’s beautiful cabbage salad. But hey, sometimes when you’re a college student on a budget you have to pick and choose which exotic pantry items you can afford and which are just going to have to wait. I used peanuts for a crunchy element, although I would love to try it with some sort of grain. I also cut out quite a few ingredients that I couldn’t find at the local market but still thought it came out pretty good. note: This makes a BIG salad. 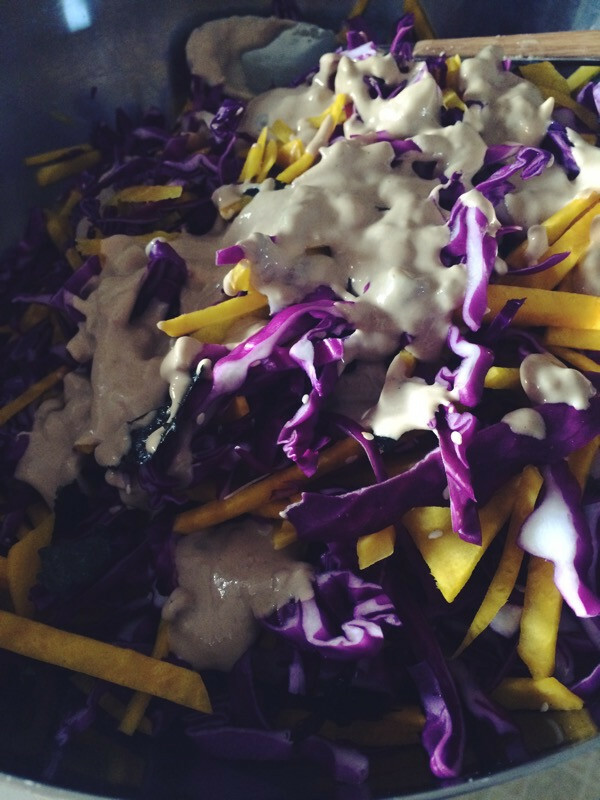 I wanted to use the whole cabbage in one go so I upped the dressing, the good news is it makes for great leftovers. On the other hand you can always use half a cabbage and dial down the dressing measurements.